1. How does having my students order Highlights products benefit me? You get valuable gifts for your classroom FREE just for introducing your class to Highlights publications. 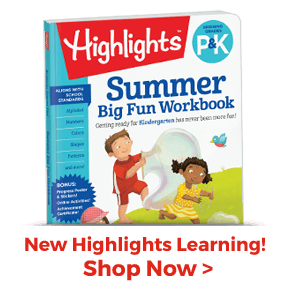 Highlights® magazine and other products encourage reading, writing, and thinking just for the fun of it. The stories, puzzles, and activities help children build important learning skills they can use in school and beyond. Everybody wins! 2. 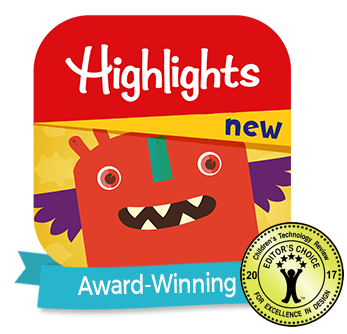 Why should parents choose to order Highlights products through the Highlights School Program? Parents can take advantage of the exclusive offers available through the Highlights School Program and help earn valuable materials for their child's classroom. 3. How can I encourage families to participate and help students remember to bring their signed slips back to school? There are lots of ways! View each of our product pages under program publications for tips on how to maximize participation and increase your free gift choices. 4. What Highlights products are offered through the Highlights School Program? Check out all the products available under program publications. 5. How can I get more order forms to pass out to my students? If you have not yet distributed your student take-home slips, simply make copies of the ones you have or download reproducible take-home slips and reminder slips from the publication page. 6. How long will it take my students to receive their orders? Please allow 4 to 6 weeks from the time that you placed your order. 7. How long will it take to receive my free gift(s)? Please allow 6 to 8 weeks from the time that you placed your order. 8. Will I automatically receive the featured gift that was shown on the front of my mailing packet? To be eligible for the featured gift, you need a total of at least 15 signed "Yes" and "No" responses. If you want the featured gift, be sure to write in the item number on your Teacher Report Form, or if you are ordering online, select it when you get to the gift order screen. If you teach such a small number of students that you can't possibly collect 15 signed slips, you can still get the featured gift by certifying that you have a small class. 9. What documentation should I keep in case Highlights needs to contact me about my gift(s) or student orders? If you responded through the mail, we recommend you keep your students' "Yes" slips and a copy of your Teacher Report Form until you receive your gift(s). If you entered your orders online, we recommend you keep your students' "Yes" and "No" slips until you receive your gift(s). 10. How can I tell if my gifts are on back order? If you received two or more teacher gifts, included in your package was a packing slip that shows the item codes and descriptions. Next to "Quantity Ordered," you will see a column titled "B/O," which stands for back order. If any quantity is shown in this column, then the item is on back order. 11. If my gift is on back order, how long will it be before I receive it? In the rare instance that your gift is on back order, restocking time will vary by item. Once we have the item back in our warehouse, it should reach you in 2 to 3 weeks. 12. What do I need to do if I want to order a subscription for each of my students? Please contact our Customer Service Department at 1-888-372-6433 to place your order. 13. Can I order Highlights or Highlights High Five magazines for my classroom? Yes. For 10 or more copies of a single issue or for multiple subscriptions for your classroom, call 1-888-372-6433 for information on discounted pricing or to place an order. 14. Can I order multiple copies of Highlights puzzle books? We do not offer discounts on bulk orders at this time. Please call 1-888-372-6433 for more information on fulfilling orders. 15. Does Highlights offer teacher discounts? We do not have the ability to offer discounts to teachers on puzzle book purchases at this time, but are hoping to develop in the future! 16. How can I find out about other Highlights products? 17. 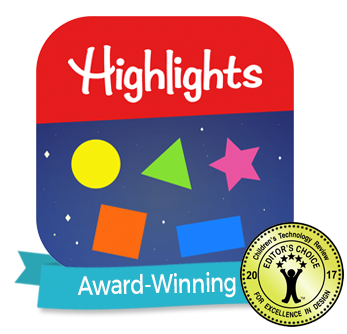 Are Highlights products and the Highlights School Program available in Canada? 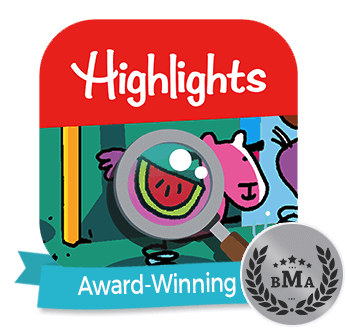 At this time, Highlights Magazine, Highlights High Five Magazine, Hidden Pictures Club, Puzzle Buzz and Puzzlemania can be delivered to Canada and are available to students through our Highlights School Program. If you are planning to download take-home slips from our website and wish to offer delivery to families in Canada, please be sure to choose the Canadian forms for these 6 products.